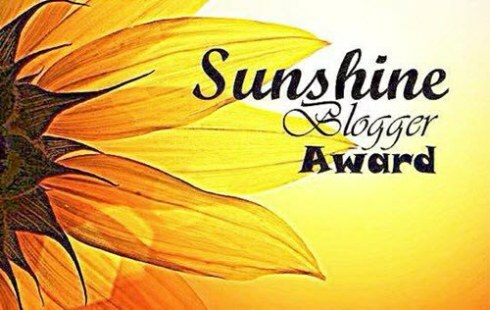 A big thank you to Rob over at the blog V-pub for nominating me for the Sunshine Blogger Award. I have enjoyed following Rob’s blog with his heartfelt personalized stories and songs. You will also get to hear some great original music recordings so please do visit the V-pub! Dogs or cats? Definitely cats. I understand their mood swings! What is your favorite cold weather meal? Does Kenyan tea count? What would that question be? I would ask Beethoven what he was thinking and feeling when he composed Für Elise. This is one of my favorite classical pieces. The reason I decided to learn how to play the piano was so I could play this song. What is your fondest childhood memory? Mortal Kombat competitions with my brothers. If you could go back in time – any time – when would it be? The 70s so that I could have my hair in a ‘fro. Can you watch the same film over and over? Definitely! My favorite re-watchable films are Hot Fuzz and Galaxy Quest. Flip flops or sneakers? Flip flops! Where do you see yourself in 10 years? I see myself practicing medicine as a doctor, continuing to raise my kids and keeping up with my hobbies, particularly music and writing. And here are my 11 questions! Enjoy! If you had to learn another language, what would it be? A big thank you to Timothy Pike over at What Inspires Your Writing? for featuring me on his blog. I’m very excited! If you haven’t visited Tim’s blog, please do so. It is a wonderful place to meet up with other writers and to get greater exposure for your writing! I also want to take this opportunity to say thank you to all my readers for all your support and encouragement over these past few months. When I first started writing my blog, it was a private blog and I was quite shy about writing publicly. But the interaction I have had with many of you and the interesting blogs I have come across have made it so worthwhile. I feel that I have grown through this writing experience and I love it! As you go through life, remember to try doing something outside your comfort zone! You never know where the road may take you! It could be somewhere incredible and unimaginable! Malaika Awori likes to climb mountains, literally and figuratively. Literally, there was the trek up Kenya’s Mount Longonot in her childhood, a guided hike that she admits was “not all that difficult.” Her blog, Potential Doctor, however, chronicles a different kind of uphill journey?her trek up the mountain of medical knowledge to her longtime goal of being a doctor. 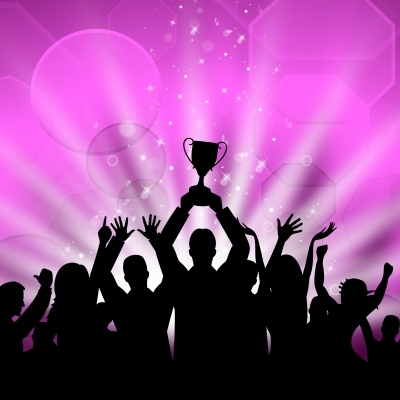 A big thank you to How to $tuff Your Pig for nominating my blog for The Blog Tour Award! I feel privileged to have been selected! If you haven’t visited How to $tuff Your Pig yet, please do so. You will find lots of useful information on personal finance and tips on saving money. 1) Pass the tour on up to four other bloggers. 2) Give your nominees the rules and a specific Monday to post. 3) Answer four questions about your creative process which lets other bloggers and visitors know what inspires you to do what you do. My blog is eclectic and covers a wide range of topics which hopefully readers from different backgrounds and cultures can relate to and find something useful for them. My blog topics revolve around motherhood, family life, faith, science, hobbies, healthy living, gratitude, positive thinking and self-improvement, as well as my journey to medical school. I like to interact with my readers so some of my blog posts have a call to action or a challenge. In addition, having had a demanding career in research and subsequently by pursuing medical school later in life (I’m in my 30s) with a family, I feel I can offer advice on how to study effectively as well as balance a rigorous schedule with family. I often write about my life experiences and my future goals. If I am going through something difficult or something amazing, I want to share it so that others can learn from the situation or be encouraged by it. Some days, I can compose a post in 10 minutes and be happy be with it. Other days, I am more pensive and take a day or two to complete a post. My biggest inspirations for what I write about are my family, my faith, positive thinking, my ambitions and a desire to bring out the best in people. My blog originally started off as a private blog to document my journey to medical school. But with time it has evolved into a tool that I have enjoyed using to encourage, to uplift, to inform, and to advise others, and also to unload my thoughts into a medium that I can retrieve later. I love to connect with people and I feel that blogging is a great way to form virtual connections through shared experiences and also allows one to learn from others’ experiences. I have been challenged, inspired and educated through reading others’ blogs and I hope to do the same! My blog is also here for my children to read and enjoy as they grow up. I am working on a series of ‘Mom Tips’ covering a range of child-rearing topics such as introducing solids, potty training and more. I am not an expert but I would like to share my experiences and what has worked for us as a family. Hopefully these tips will be helpful to other parents out there. Once again, it was very difficult to narrow it down to 4 blogs and it took me weeks to decide! So congratulations to the above nominees! Your posts are due Monday, July 27th (if you are interested in participating). Feel free to contact me if you have questions about the award.